Apologising is a skill, and it needs to be taught. Everyone knows how empty a forced apology feels. 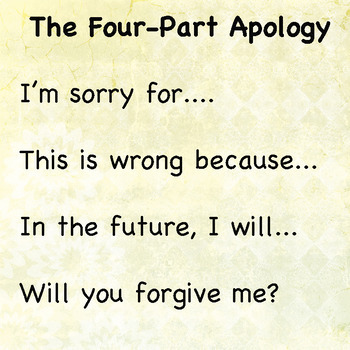 Put this poster up in your classroom and refer to it every time a student needs to make an apology.